A chilly, rainy week in Phoenix! Trips this week were limited to just the day-to-day work commute. Still fires up on the first try every time, but the Optima red-top battery that I’ve been running since August 2008 is struggling a bit more every day. The desert heat is very rough on batteries – I seem to get about 3 years out of them, max. I recently dug up a fun memory of my mileage-accumulating past. 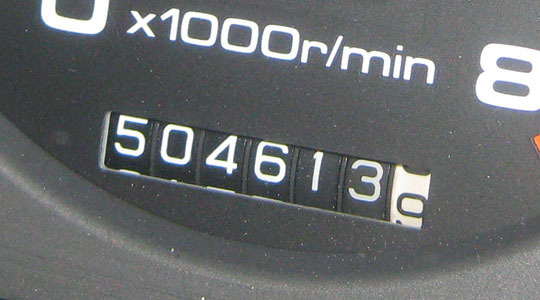 Back in the 300,000’s, I started creeping up on matching the odometer reading that my friend Dave in St. Louis had on his daily-driver 1992 Honda Accord. 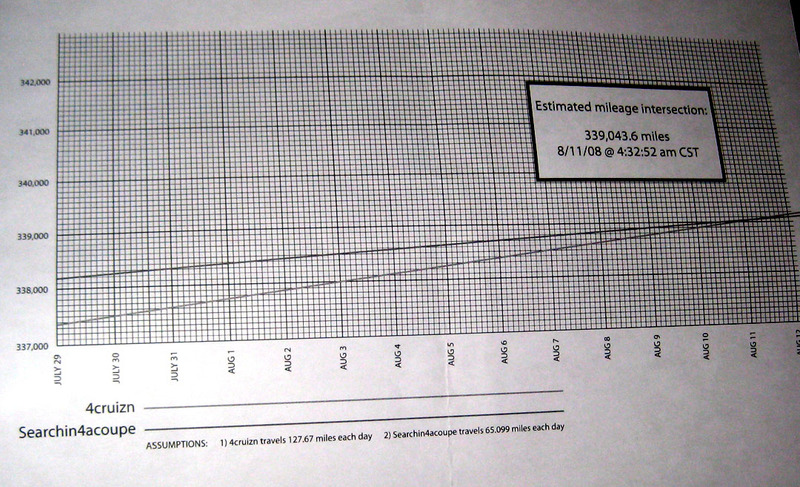 Dave, the nerd that he is, actually put together a rendering of his prediction as to when our mileage readings would intersect. As it turns out, I don’t think he was too far off! I thought it would also be interesting to again plot out my car’s mileage history in visual form. Its life sure changed in the first part of 2003! As some of you may remember, as part of the 500,000 Mile Celebration, I was invited to go as Acura’s guest to the upcoming Detroit-based North American International Auto Show! This week we got some of the travel logistics squared away for my first-ever trip to Michigan. Unfortunately, time won’t allow for me to drive the Legend out there. Michigan is one of only a handful of states that the car has yet to see. I’m honored and excited to see some of what Acura and the other manufacturers have up their sleeves. I know that an all-new Acura ILX sedan is going to debut, as well as a sneak peek at the next NSX and a revised RDX. You all know I’ll report back in full detail! 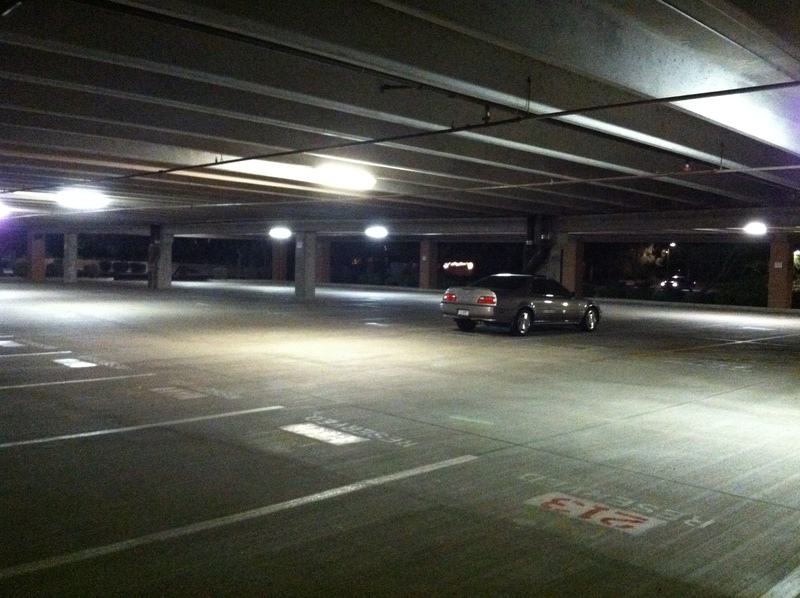 This entry was posted on December 18, 2011 at 4:33 pm and is filed under Car Show, ILX. You can follow any responses to this entry through the RSS 2.0 feed. You can leave a response, or trackback from your own site. 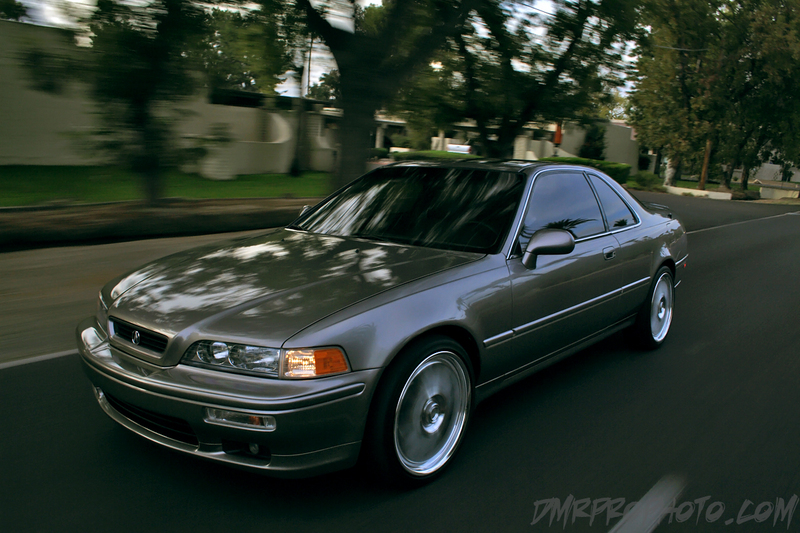 I’ve got a 1996 Acura Integra LS that I purchased new that has 512,000 miles on it. Add me for a “plus 1” or “Plus 2″ or ” “Plus 3” or even a “Plus 4” for the Detroit auto show !!! LOL The Detroit airport is really cool as all the car manufactures there (Ford, Chevy, and others) all have cool little shops you can go check out. Most of ths shops even have upcoming cars in them so you can take a look at them before they are even at the dealerships. Would love to have you along for the trip, Dave. I have never even set foot in Michigan so this will be a unique experience all around.